Converting straight purchases to 0% installment all year round is now possible with RCBC Bankard. With the Unli 0% installment feature, cardholders need not worry about paying immediately for every purchase they make because they can convert every transaction to 0% installment for 3 months at any given time of the year. With no limitation on the purchase amount or the number of times they can avail of the feature, cardholders are able to manage their funds better and keep within their budget. Moreover, they do not have to worry whether or not the merchant allows installment purchases. All they have to do is charge the purchase to their RCBC Bankard then call RCBC Bankard’s Customer Service number at 888-1888 or 888-1883 (for Platinum, Infinite, or World cardholders) and request that their purchase be converted to 0% installment. Use UNLI 0% to pay for tuition and fees, hotel bookings, shopping abroad or online. Use UNLI 0% to pay for anything and everything, because you can always cut your payments into 3 months, 0% installment. So it does not matter if the establishment does not offer 0% Installment, simply use your RCBC Bankard and avail of UNLI 0%. RCBC Bankard in the presence of its VP and Group Head for Marketing Ma. Angela Mirasol gave a briefing on the Unli-0% Installment feature - which allows cardholders to cut payments into 3 months at 0% installment at any given time of the year, as well as world class travel privileges. RCBC Bankard is being issued by Rizal Commercial Banking Corporation through RCBC Bankard Services Corporation. 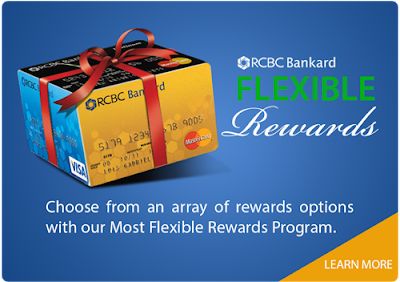 For more information on the Unli O% installment feature, log on to www.RCBCBankard.com.